At The Eye Clinic of Florida in Zephyrhills, Florida, Dr. Mahootchi makes it his top priority to help all of his patients look and feel their best. Botox treatment is one of the best and easiest ways to resolve aesthetic concerns and medical conditions alike. Botox, short for Botulinum toxin, is a natural protein that relaxes troublesome muscle movements in order to minimize wrinkles, treat excessive sweating, reduce migraines, and resolve other unwanted issues. This simple and non-invasive treatment is utilized by both men and women at The Eye Clinic of Florida to achieve their cosmetic and medical goals. Botox is a quick and simple injection. It delivers results by preventing nerve cell signals from reaching muscles, which relaxes those specific muscles. This is so important because muscle contractions are responsible for a variety of unwanted problems. In fact, Botox is currently approved for more than 20 therapeutic conditions. Botox is best known for its ability to soften and eliminate wrinkles between the brows, along the forehead, and around the eyes. It targets the underlying causes of wrinkles, which are the repeated muscle contractions from frowning and squinting over the years. By reducing the muscle activity that causes those contractions, Botox helps to smooth away crow’s feet, frown lines, and glabellar lines. Dr. Mahootchi will examine your wrinkles and evaluate your face to determine the best treatment method. You can even pinpoint an exact line or wrinkle that you want to eliminate! Wrinkles aren’t the only problems that can be targeted by Botox. It can also be used to help eyelid spasms, chronic migraines,and excessive sweating. For each of these conditions, Botox relaxes specific muscles to prevent the troublesome contractions. Blepharospasm, or eyelid spasms, for example, can be resolved with Botox by relaxing the muscles that cause involuntary spasms around the eye. People with blepharospasm cope with uncontrolled blinking, narrowing, and closing of the eyelid, but Botox can help to minimize or even eliminate those symptoms. 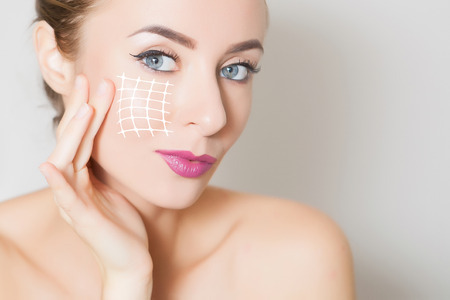 When you receive your Botox treatment from Dr. Mahootchi at The Eye Clinic of Florida, you can trust that an experienced and highly trained professional will deliver the results you need. The muscle relaxation achieved using Botox will last anywhere from three to six months before another treatment is needed. Aside from light swelling and bruising at the injection site, you will enjoy a relatively painless procedure! Your results will become apparent after just a few hours, with your best results developing over the next several days. Call The Eye Clinic of Florida at (813) 779-3338 to make your first Botox appointment now.